Chacon, a Hispanic village in the Mora Valley, was settled 1894 during in the waning years of the Spanish Colonial period. The Mora Land Grant facilitated by Governor Albino Perez in 1835 opened the valley to settlement and 76 inhabitants became the nucleus for the farming communities that remain in the area today. The small adobe chapels that they and their descendants erected constitute a unique assemblage of folk architecture that continues to define the cultural landscape of this remote but beautiful portion of what was once the northern New Mexican frontier. One of these small adobe churches is La Capilla de San Antonio which is located at the southern end of the village of Chacón. This church is an important symbol to the community and is a place where people gather for mass and prayer. The old farming families who reside in the area feel as though they are preserving the work of their ancestors, their heritage, their faith and values by being actively involved in restoration and maintenance of this adobe chapel. The structure itself was built in 1865, which makes it one of the oldest chapels remaining in use in Mora valley. It is in Cruciform (cross-shaped) plan with a stone foundation, adobe walls, a mud plaster exterior and a pitched corrugated tin roof. During the mid-20th century the walls were covered with cement plaster, as was common during that time, to eliminate frequent mud plastering. In 1986, under the auspices of the New Mexico Community Foundation (NMCF), a community based preservation plan was created that outlined the repairs needed to restore the integrity of the structure. During 1989, with the technical assistance of NMCF employees under “Churches: Symbols of Community”, later Cornerstones, Mora community members began restoration of San Antonio. 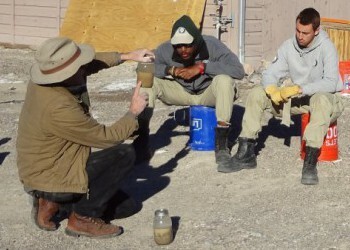 This included removing all cement plaster, making adobe bricks, repairing cracks, making other interior and exterior basal and wall repairs, and mud plastering exterior and interior walls. A final coat of gypsum was applied to the exterior walls. In 1990, the roof support system was repaired and a new corrugated tin roof was installed. 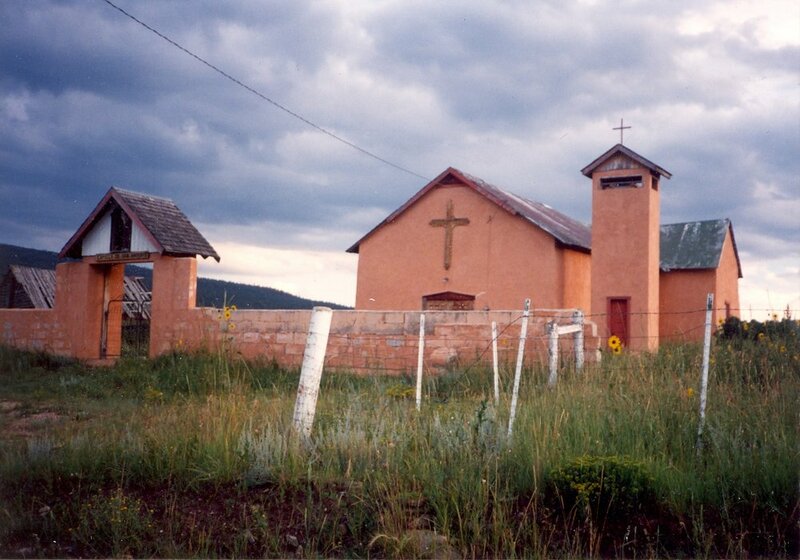 In 1994, “Churches: Symbols of Community” became Cornerstones Community Partnerships, a New Mexico non-profit corporation. When asked for help, Cornerstones has continued to work with the Chacón community in maintaining their chapel. 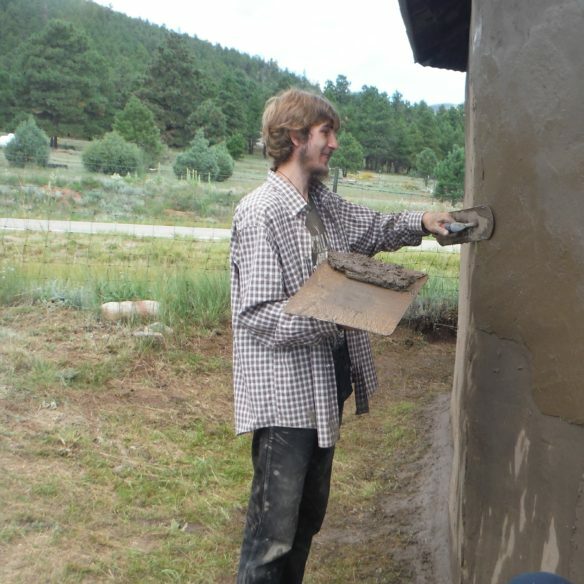 In 1997, Mora youth in the Cornerstones summer youth training program, removed the gypsum finish coat and re-mudded the chapel. In 2001 a new drainage system was installed and in 2005, with technical assistance from Cornerstones, Mora Mission youth again re-mudded the exterior walls of the chapel. Work on this chapel has been on-going since 1988 when it was in great disrepair, and groups such as Cornerstones’ Mora Youth Trainees in 2001 and 2005 and community members have helped keep it maintained. It is now in good condition, and the families living in Chacón can continue to observe the valued traditions of their ancestors. Plans are underway to make adobe repairs and mud plaster the church during 2017.